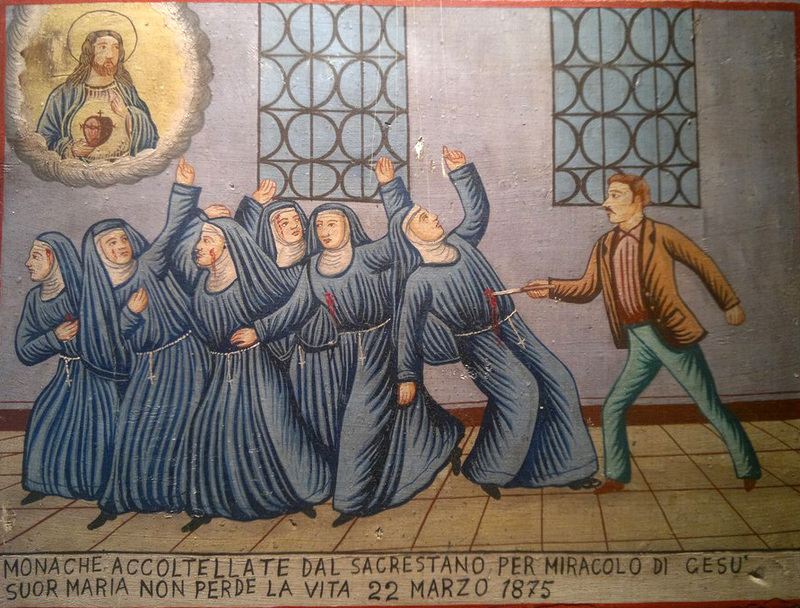 I just stumbled upon a phenomenal collection of Italian ex votos--from which the above are drawn--on a Facebook page dedicated to outsider, visionary, and self-taught art. You can see the full wonderful set of eighty four images--which I highly recommend!--by clicking here. You can visit the page which hosts them by clicking here. 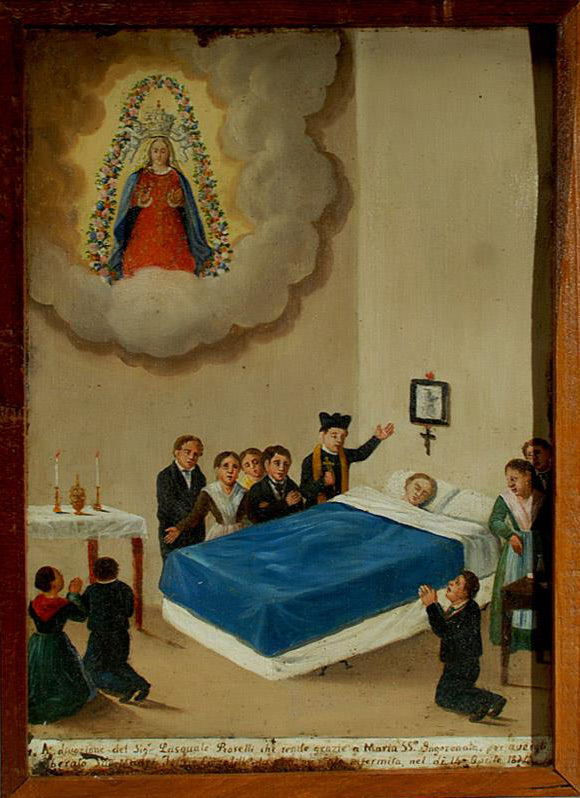 An ex-voto is created when an individual's prayers for a miracle are answered. 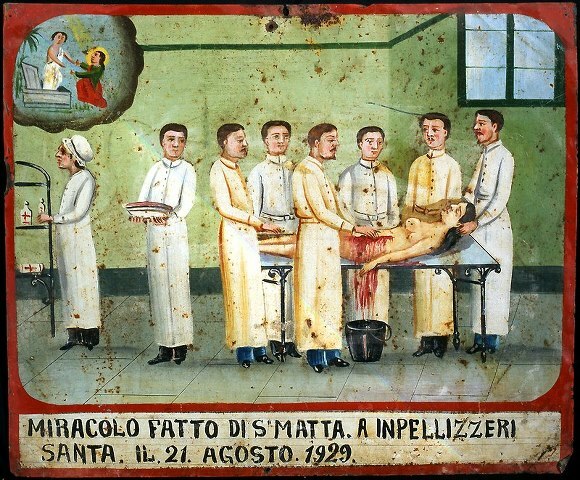 After praying to a saint for a miraculous healing, an individual would commission a local artist to create a small painting that would be hung in the local church as a public testimony of that individual's faith and gratitude for a miracle. Usually done on canvas or tin, ex-votos generally consist of three basic elements: the illustrative depiction of the event, the narrative, and the depiction of the saint or deity. Variations of this standard form can be seen over time, but the central elements remain the same. 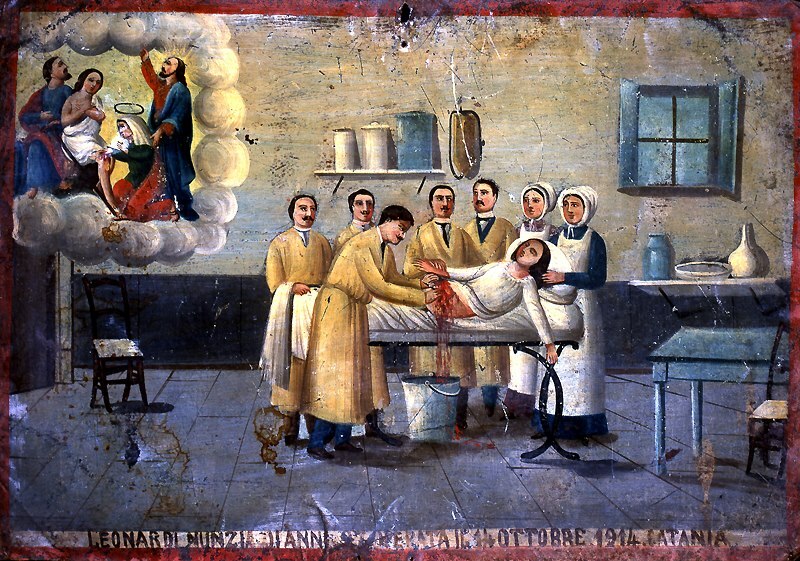 Ex-votos are not only symbols of faith and devotion, but also serve to document diseases and their treatments including smallpox and tuberculosis. Emphasis is placed on the dramatic aspects of an illness including exaggerated symptoms evoking sympathy for the sufferer and validating the importance of the divine in the sufferer's recovery. 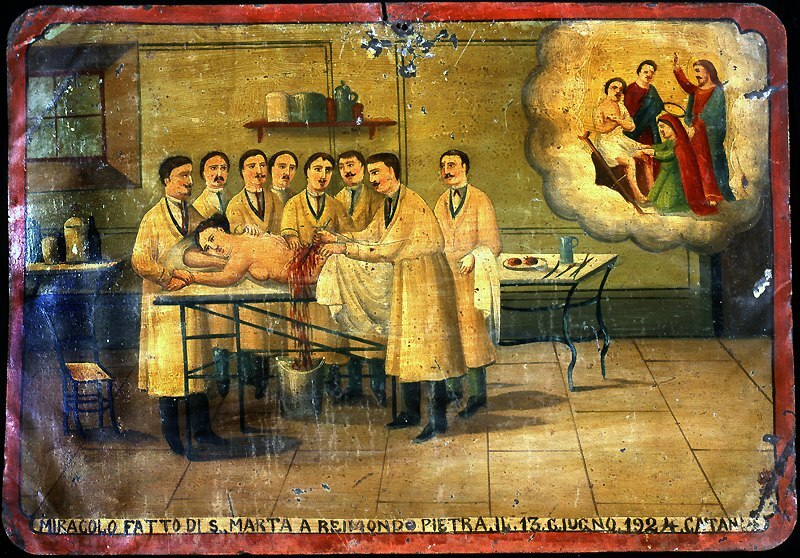 Many depictions take place in the home where doctors and family members tend to the sick. Homes are generally modestly decorated and always include religious icons. Settings also include hospitals and operating rooms where doctors and nurses can be seen using surgical instruments and other medical equipment. Patients are seen in bed or on an operating room table. They appear calm and serene as their faith and devotion enables them to transcend their pain and suffering.